Jewish Learning Program of Temple B'nai Abraham | Dedicated to working jointly with our families to teach all children the skills, knowledge, and values they will need to be life-long learners and committed Jewish adults. Jake Yelner and Noah Shangold shake the lulav with Rabbi Kulwin as part of Kulwin’s Lakeside Sukkah Celebration held at Temple B’nai Abraham during the holiday. Our Jewish Makerspace, utilizes Jewish concepts, technology, and hands-on materials for Project-Based Learning to allow the children to ask and answer Jewish questions of importance to them and our community. The Jewish Learning Program recently welcomed the Kitah Gimel (third grade) students to their formal study of Judaism at a Third Grade Class Consecration ceremony during an Shabbat Service. We are a vibrant and joyful center of Jewish life and learning.The laughter and kehillah (community) of our children is perhaps our brightest and most precious jewel. Welcome to a new year at the Jewish Learning Program at Temple B’nai Abraham. We are a very blessed community. We are a vibrant and joyful center of Jewish life and learning.The laughter and kehillah (community) of our children is perhaps our brightest and most precious jewel. 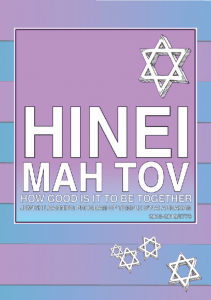 The theme for this coming year is “HINEI MAH TOV: HOW GOOD IT IS TO BE TOGETHER!” It is through your families and the wonderful children that you share with us each week, that joy, laughter and learning come together here at TBA. At the JLP, while we busy ourselves with readying the children to take their place among the Jewish people as B’nai Mitzvah, but we have a much larger and more imperative goal; making them lifelong committed and knowledgeable Jewish people. We strive to help them see the world through a Jewish lens. We explore ways they can help right the world, and create a Jewish home that brings hope and love to others. Through the rituals, stories and values of our people, we aim to connect them to a precious legacy that they will carry with them always. The JLP is a partnership. Your family is as important to us as your children. Be a part of our Jewish home! Feel the energy of being together in a community that values every child and family. Your children will immediately understand the importance of Jewish life while watching you participate. As the year begins, please know, the doors of our program are open to your questions and concerns. We care deeply about the educational, emotional and spiritual well being of your children. Feel free to reach out to us to make this a meaningful experience for you and your child. We are looking forward to a wonderful year of growing the Jewish people even greater! Please click on “Read more” below for additional information, or contact Meilssa G. Weiner, Director of Jewish Learning, mweiner@tbanj.org or call 973.994.3950, for an appointment to visit our excellent educational programs. Young children easily warm to the beauty of Judaism. While not mandatory, the importance of early education demonstrates that young children quickly absorb and engage in meaningful ways with their faith. We strongly encourage participation in our Primary Experiences. Children of non-members are welcome to participate in Kindergarten,First & Second grades. Our elementary students spend their year in two primary ways. The first is our Shoreshim, or roots days. These days are meant to build strong knowledge about, and connections to, Judaism, while building community and friendships. Each week, students experiences core, grade level curriculum through hands-on, tactile and creative settings. All grades experience music, art, Jewish Makerspace, dance, modern Hebrew,prayer skills and Israel in creative and experiential ways. Specialists bring a variety of movement and hands-on activities each session. Hebrew links us with more than 3,000 years of identity as a distinct people. Even after we dispersed throughout the world without our own land or government, our use of Hebrew as the language of Torah and prayer united all Jews as one people. We teach Hebrew to continue this link – across time and space –– in worship and study. With that in mind, the JLP at TBA is excited to announce a new opportunity for our families. After four years of studying trends and growth in our students, the Board of Education and the Professional Staff determined that our children learn Hebrew best in small, individualized learning groups. Mercaz Ivrit grouping will meet once a week for 45 minutes. Classes will be limited to 5-6 students. We are proud that this program supports our belief that all children reach developmental skills at their own pace. Small groupings allow each child significant attention which will guide not only their Hebrew success, but also their emotional well-being. Our overall goal for each of our children is success with maximum and compassionate support! Group times are scheduled during registration. Mechinah is the Hebrew word for preparation. The seventh grade year is really about preparation and a new beginning. Students are preparing to become Jewish adults, and with that comes the responsibility of thinking and feeling like a Jewish adult. The Mechinah Year is designed to help our young teens understand that Bar or Bat Mitzvah is not a culmination, but rather a launching pad for their Jewish life. Enrollment and completion of the seventh grade year is required to have your B’nai Mitzvah at Temple B’nai Abraham. 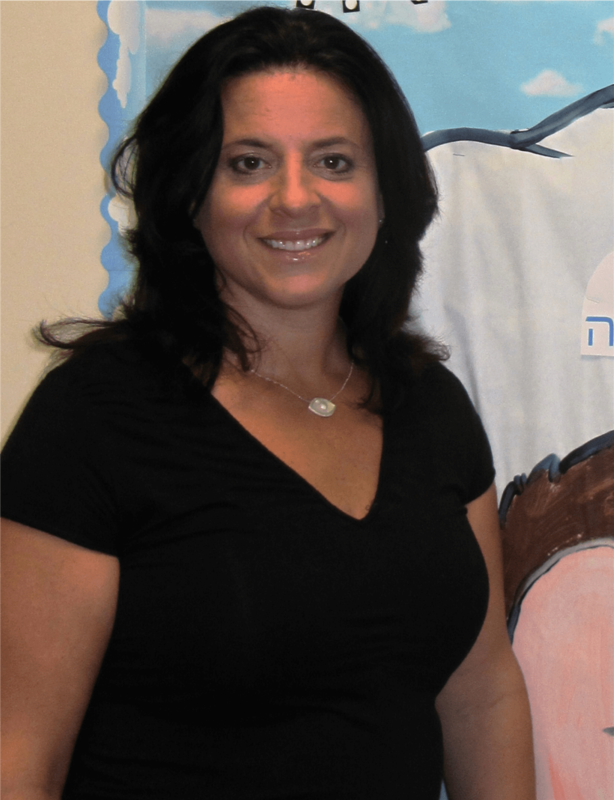 Mercaz, the special services program of The Temple B’nai Abraham Religious School, is a warm, nurturing Jewish learning environment dedicated to children with learning and physical differences in grades K-6, with consideration given to the Bar and Bat Mitzvah process.